Image caption Who will win out of finalists (l-r) Jane Beedle, Candice Brown and Andrew Smyth? The oven gloves are off as the final three bakers left in the Great British Bake Off take to the tent one last time in a bid to be crowned champion. Jane Beedle, Candice Brown and Andrew Smyth are the only contestants left from the 12 who started this series. They will face three rounds on Wednesday night's show before one is crowned the winner. The episode is the last to be seen on the BBC after it lost the rights to the show to Channel 4. 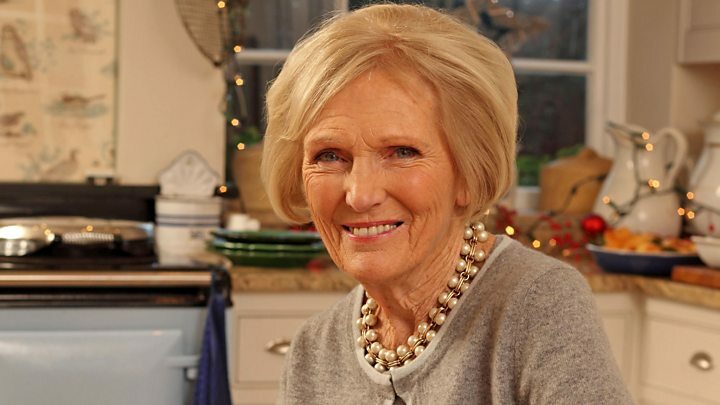 The final show will see them create a signature challenge involving meringues and take part in a technical challenge set by Mary Berry asking them to make a British classic with just one instruction. They will then have to produce a showstopper said to be the most complex ever set in Bake Off history, with the most bakes ever requested for a challenge. 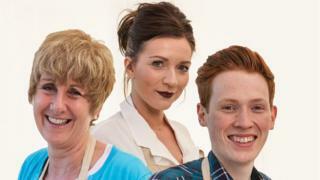 The result will then be revealed in front of the trio's family, friends and their former Bake Off colleagues. This year's competition has seen the baking enthusiasts compete against each other in rounds that took in patisserie, desserts and pastry. There were also two new rounds for 2016 - Tudor and botanical. Garden designer Jane, 61, was the first to be named star baker in this, the seventh series of the amateur baking contest. She is known for her traditional - but often intricate - bakes, including a marzipan cake decorated with swans for Tudor week. Youngest finalist Andrew, 25, uses the skills from his career as an aerospace engineer to help him, with his products including a tower of pies that fitted together and turned like cogs. PE teacher Candice, 31, has drawn on her family history with some of her bakes, including a memorable gingerbread replica of the pub she lived in as a child. She has been star baker three times, while Andrew has been awarded the honour twice. Bake Off winners: Where are they now? If this year's winner follows the path of previous champions, they have television shows and cookery books to look forward to in their future careers. Series one - The 2010 winner Edd Kimber has three recipe books - The Boy Who Bakes, Say It With Cake and Patisserie Made Simple. He runs a baking blog, also called The Boy Who Bakes. He writes for magazines and newspapers, and makes regular TV appearances on food shows. Series two - Jo Wheatley now runs a cake-making school from home and has published two books, A Passion For Baking and Home Baking. Series three - John Whaite swapped plans to become a lawyer to life as a chef by setting up his own cookery school. Whaite has published two books - John Whaite Bakes At Home and Perfect Plates In 5 Ingredients. He also writes for the Telegraph, and is resident chef on ITV's Lorraine. Series four - Frances Quinn has published a recipe book, Quinntessential Baking, and baked for artist Quentin Blake, broadcaster Clare Balding and the Tate's Matisse exhibition. She also has a blog featuring her latest creations and runs cooking demos. Series five - Retired grandmother of eight Nancy Birtwhistle now writes about the show for the Telegraph. Her website features her tips and recipes. Series six - Nadiya Hussain is now a TV star in her own right, recently fronting her own three-part series, The Chronicles Of Nadiya, and making regular appearances on The One Show. She has published two books - Nadiya's Kitchen and Nadiya's Bake Me A Story. Buckingham Palace chose her to bake the Queen's 90th birthday cake. Paul Hollywood is following the show when it moves to Channel 4, while fellow judge Berry and hosts Mel Giedroyc and Sue Perkins have announced they are leaving. Berry told Chris Evans on BBC Radio 2 that she will work with Giedroyc and Perkins again - joking that a future project could involve gardening. She said: "We have made no decisions whatsoever, we haven't actually all three got together, but we will do something because we're good pals, and who knows what it would be? "Well, it may not be baking, you never know, it could be gardening. I'm a very keen gardener you know." She said her decision to stay with the BBC had been made "straight away" when she learned the corporation had lost Bake Off. Berry said: "It was a gut feeling and I made it straight away for myself, having discussed it with my family and others. I'm very happy I've stayed with the BBC." She added: "I'm sure the programme will go on to be a little bit different, but it will still be wonderful." Programme makers Love Productions are yet to reveal who else will front the show alongside Hollywood. The Great British Bake Off started on BBC Two in 2010 before switching to BBC One in 2014. Last year's final, won by Nadiya Hussain, was the UK's most watched television programme of 2015. The Great British Bake Off final is on BBC One at 20:00 BST. Great British Bake Off 2016: Who's in the final?